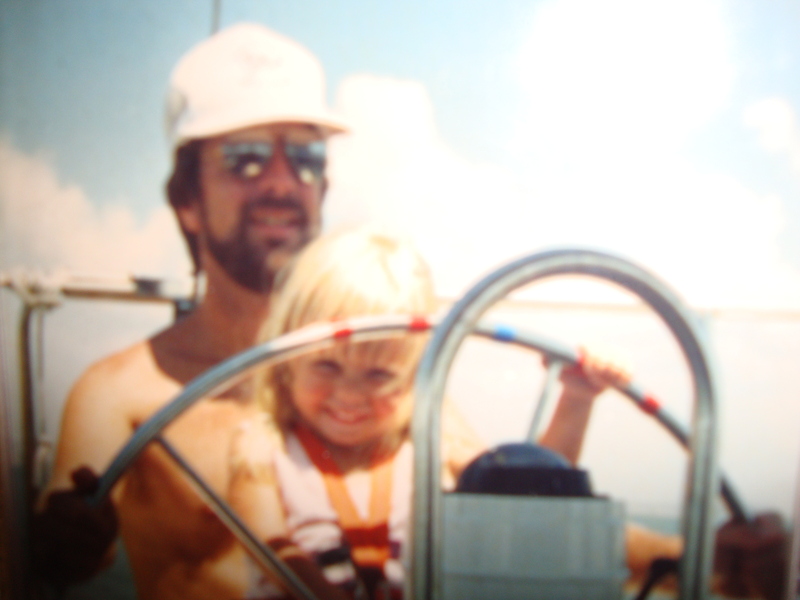 Summertime is my favorite time, completely due to all the summers made awesome by my dad. 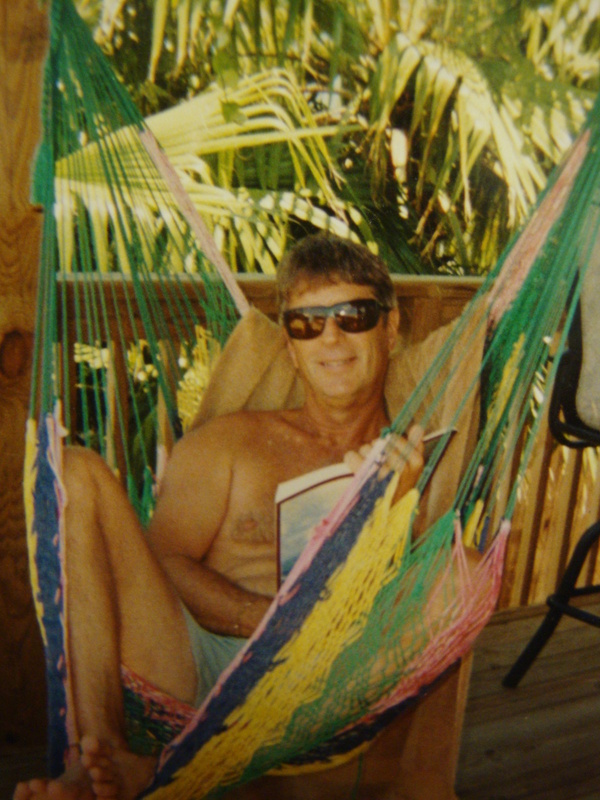 One summer he built us a tree house in the front yard. He let us pick the shapes of all the windows, and we helped him when we could, passing him tools, helping put on the first coat of paint, a pretty pale yellow, my sister Laurel chose. We played in that tree house all the time. Sometimes it was the Millennium Falcon, other times it was a pirate ship, most often it was…a tree house, in the vein of Swiss Family Robinson, one of our favorite movies to watch as a family. 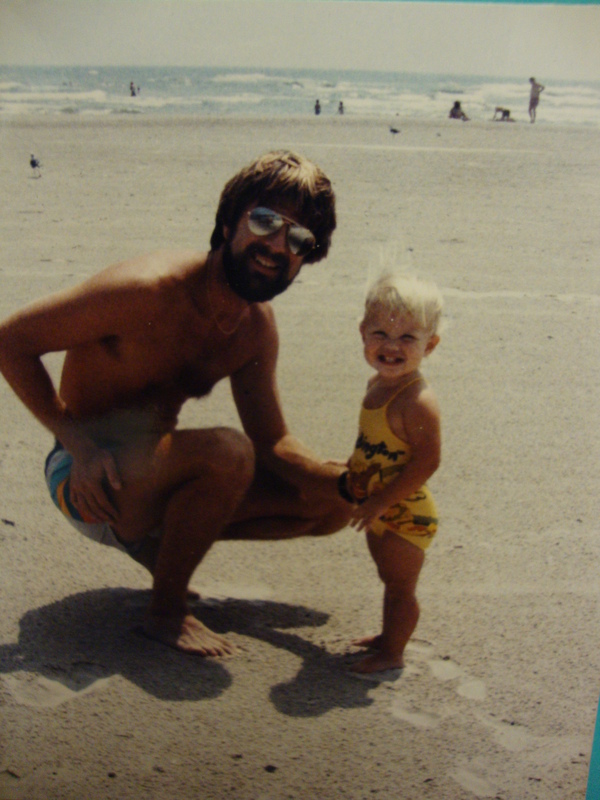 My dad has always been keen to teach me new things and help me get better at everything. He taught me how to fish, and when I won a Piggy Perch catching contest at age six, beamed with pride. When I played soccer, from age eight to fifteen, he was at every game, took me to every tournament, assisted with coaching, took me to Academy to get my cleats and shin guards, gave me pep talks as I got discouraged sometimes because I was very small for my age. My dad and I share a profound love of music, one of my bedtime stories was him regaling me with his story of going to Woodstock ’69, a happy accident that had been one of the best times of his life. Hearing about bands and songs, seeing how he revered it so, led to my extreme interest in music. He wrote a lullaby that he sang to us, playing it on his guitar some nights. I always said I wanted to be a geologist (my dad is) or a rock star when I grew up, to which he always replied, “You can be both!” I wanted to play guitar like him, of course, and he taught me chords and gave me his songbooks. For my ninth birthday he bought me my own guitar, a Gremlin that I practiced on and eventually some of my gal pals and I started the first guitar choir at St. Patrick’s School-playing at Masses, practicing with our music teacher. 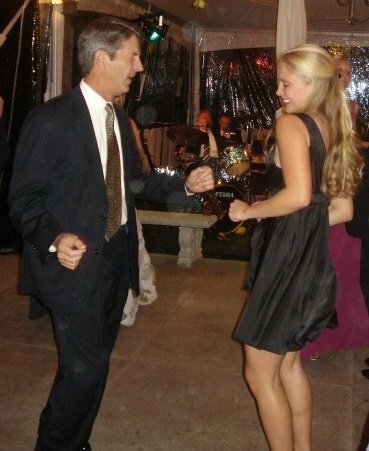 Daddy loves to dance, and I relish the chances he and I have to cut a rug! Whether it’s in our kitchen, at a wedding, at a party, he’s the best dancer I know. His encouragement is tireless, any endeavor of mine, he is on board. When I wrote a poem in second grade, he was so impressed with my writing he made copies at his office so we could mail them to friends and relatives. In seventh grade I was “selected” for a Model Search America weekend in Houston(it is worth noting that I was not even 4’10” and had braces)and he took me to the contest weekend, completely confident that I was beautiful & talented enough to land a contract, and with his full faith, I believed it too. We headed back to Corpus Christi minus fame and fortune, and I was disappointed, but couldn’t help feeling like a movie star knowing he believed in me so much. And it wasn’t only devotion on the positive swings. On nights I couldn’t sleep because of anxiety, he would sit in my room with me and describe relaxing scenery, detailing sunsets, mountains, verdant fields, until I fell asleep. When I’ve had my heart broken he’s been there to hug me, tell me that it would pass, and that I deserved the best. It always did, and he was right. When I was bullied my sophomore year of high school, he took me to Manhattan at Christmastime to give me a vacation from it all, taking me to Les Miserables, Radio City Music Hall’s Christmas Spectacular, a tour of Columbia University (where he went to grad school), shopping for new school clothes, and giving me a chance to be an only child(as a middle child I didn’t get many). It is these above and beyond efforts to lift my spirits that define who my dad is. I hope to do near as much for the kiddos i nanny for, and someday my own children, always putting them first, helping them through tough times. I refer to my dad as Atticus McCartney. He has all the admirable fatherly traits of Atticus Finch of To Kill a Mockingbird, and all the creativity and far-reaching cool charisma of a Beatle. My siblings and I always knew when we were kids that our dad was the best, but it is only in adulthood that I truly appreciate how rare it is to know someone with such an unfailing moral compass, vibrant appreciation for life, great sense of humor, and the willingness to pass those traits on by example, and with patience. Daddy, I love you more than I can ever let you know. Thank you so much for all you’ve done and continue to do for Laurel, Bud, Mama, and me. Happy Father’s Day to good dads here, and never far. You’re a very lucky girl 🙂 Every girl/woman should be so lucky to have a Papa Franck in their lives! So very true! i’m so grateful! Oh man! So totally sweet! Your heartfelt post makes me feel bad about the book I gave my dad for Father’s Day! hahahaha! nah ah, any gift from you would light him up:) Thanks girrfran!